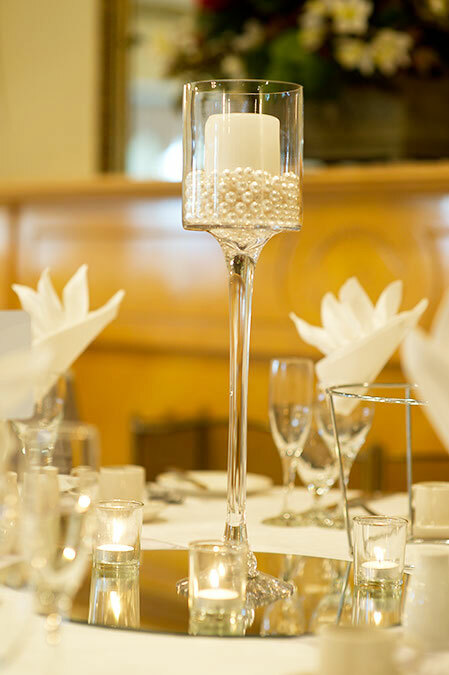 Let your engagement or wedding reception dazzle from every angle with one of our fabulous table centrepieces or unique love inspired room décor pieces. Magic in the Middle can provide your entire balloon decorating requirements within budget, while offering a range of ideas to create memories and an elegant atmosphere for your special day. Here are just a few ways you can incorporate balloons into your memorable day. Imagine walking down an aisle lined with giant tuelle covered balloons, or looking out at your guests to see balloons tied to each and every chair. "Love" written in balloons behind the altar, or your initials or wedding date are fun alternatives. It wouldn’t get much cuter than your flower girl and ring bearer carrying a single balloon down the aisle. For a special touch a personal message “When two become one” or “Here Comes the Bride” printed on the balloon will make it unique. Tired of the typical rose petals or confetti for guests to throw when the newlyweds leave the ceremony? Hand out balloons for release instead! Show off your wedding colour palette with coordinating or contrasting coloured balloons for your bridal party. Why not incorporate only one colour for a sophisticated and trendy monochromatic look. Utilize balloons in your first dance as Mr & Mrs. A balloon release with hundreds of balloons cascading down onto the dance floor or large balloons that pop on cue releasing heart shaped balloons that float to the ceiling mean the fun doesn't need to end once you arrive at the reception. Secure staggered balloons to the ground and create a balloon backdrop, or have a balloon wall lit by tiny lights to set a fairy tale ambiance for the photos. Utilize balloons to tie in with the engagement or wedding colour palette, making your photo booth part of the reception décor. Letter or number-shaped balloons can spell out special sentiments at your ceremony or reception –your new last name, the word Love, hugs and kisses or your wedding date all will add that memorable element to the festivities. Welcome guests to what is sure to be an unforgettable reception by tying their place card to the bottom of a balloon attached to their chair. Not only will guests have fun finding their personal balloon, they will create unique reception décor. Giant colour co ordinated, numbered balloons are sure to make an impact when guests walk into the dinner to find their table. For a unique twist on the traditional cake topper, a single large balloon or a bunch will bring your individual touch to your wedding or engagement cake. Balloons will make for a memorable getaway for the bride and groom. You may choose to stick to a single colour or a variety of vivid colours, balloons will send the newlyweds off in a fun way to their next adventure. Why no call us to discuss how we can transform that uninspiring space into something sparkling you and your guests will remember for a lifetime.